Floods can happen in the blink of an eye. One moment everything is okay, and the next, water is everywhere. The experts at Rainbow International have identified five ticking time bombs that can wreak havoc in your home in a matter of minutes. These everyday, regular household items are used every day, but in some instances, can be an accident waiting to happen. What to do: Check the tank regularly for leaks. Have your tank maintained yearly. An inspection should include flushing the tank, inspecting the anode rod, examining shut-off values and checking water heater piping. Install a catch pan with a drain to channel water out of the building in case of a small leak. Replace your water heater every 10 years. More than half of all water damage are due to broken washing machine hoses. Damages average more than $6,000. What to do: Inspect hoses once a month. Look for signs of impending leaks, such as blisters, bulges, cracks, discoloration or kinks. Have a professional replace damaged hoses. Turn off the water supply to the washing machine when you go on vacation. What to do: Tighten the drain line where it connects to under-sink plumbing. Replace the water supply line immediately if you run across a small leak. Choose a steel-braided hose over a rubber one. Don’t run the dishwasher while away from home. The life expectancy of an ice maker is less than that of the refrigerator, as low as five years. What to do: Replace copper water lines with braided steel alternatives. Check the water supply line behind the fridge yearly. Tighten the compression nut to prevent a slow drip from causing hidden damage. Attic air conditioners can cause the most damage because water can leak throughout the entire home. What to do: Install a secondary drain line and drain pan overflow switch. Have your A/C maintained regularly, which includes changing the filter and checking the refrigerant level. 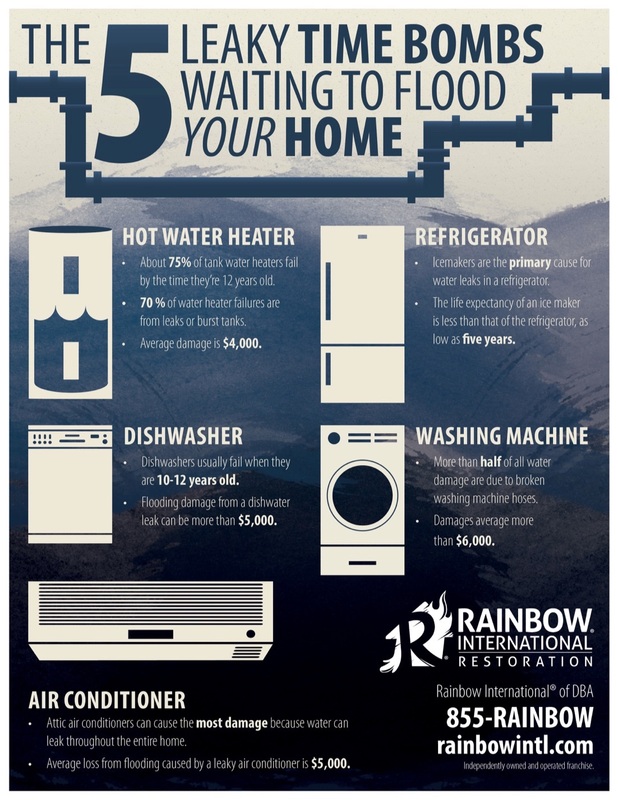 You can rely on Rainbow International for whenever you have water damage in your home from these leaky time bombs. 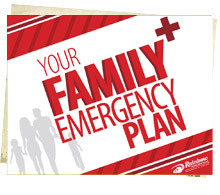 The quick response and efficient, professional services will return your home to normal in no time. Please contact us without delay if you’re experiencing a water emergency.